THE air had a heavy waft of history about it as Arlene Foster rocked up to take her seat before Amhrán na bhFiann, but those hoping it was an omen were sadly disappointed. 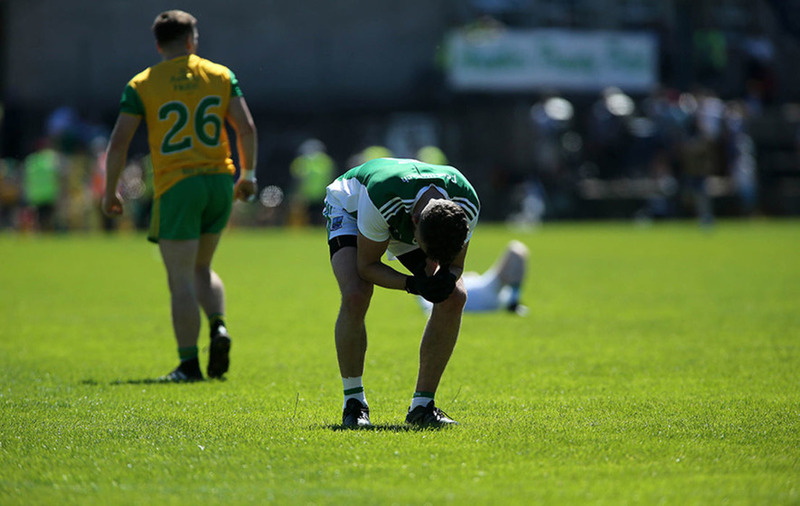 Rather than the green sea Fermanagh fans hoped would be dancing on the St Tiernach’s Park pitch, it was the buttercup yellow that came of age as Michael Murphy declared: ‘We’re back again’. Maybe they are. Maybe, like Tyrone of the past few years, Ulster is only home to false dawns now. 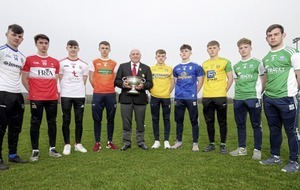 But there’s something different in the way Declan Bonner’s side play that suggests they’re better equipped for the challenges Croke Park will bring. Tyrone had set scoring records in the last two seasons, hitting an average of 1-20 last year, but Donegal surpassed that with a mean 2-19 per game. And hitting 2-18 against a Fermanagh side that plays the way they do represents their most impressive display of the summer so far. Rory Gallagher was rightly hailed after his side’s semi-final win over Monaghan, but Declan Bonner deserves equally due credit for the manner in which they unravelled the Erne gameplan. Fermanagh conceded the Donegal kickout in the hope that they’d win enough primary possession off their own. But in winning five consecutive restarts off Pat Cadden’s tee midway through the first half, the Tír Chonaill men yielded a return of 1-3. And that was really the game right there. When Donegal did have the ball, they attacked the Fermanagh rearguard in the way that Monaghan just didn’t. There were runners from all angles, pulling spare men this way and that. Crucially, they identified the one consistent pocket of space in there – the one behind the Fermanagh full-back line. All day the Donegal inside forwards showed in front and then dipped in behind for the pass. They had huge joy off that tactic, not least in the form of their first goal. It was too deliberate and too repeated to suggest that it came from anywhere other than the training ground. 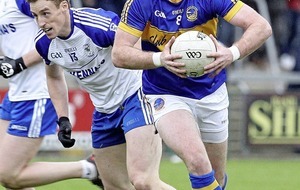 Patrick McBrearty committed men when he took on Mickey Jones and beat him, and Ryan McHugh slipped in behind. He squared for Eoghan Bán Gallagher, who palmed home at the far post to make it 1-2 to 0-1 after 15 minutes. McHugh gleefully met the shoulder of Barry Mulrone on his way out, no form of protection required to get him back to his station. When there was defending to be done, they did it in equally big number and other than an odd counter-punching break from Eoin Donnelly, Fermanagh didn’t offer enough in the first half to suggest there was any recovery in them. They did make it to their zenith of 0-12 by the end, with the introduction of Seamus Quigley at half-time accounting for two superb left-footed efforts at either ends of the half, but the heart went out of them completely when Ryan Jones was sent off for a second booking. That came on 54 minutes, up to which point the underdogs had kept swinging gamely but without ever causing Donegal’s ribs to soften. From the moment the untouchable Ryan McHugh cut a huge hole all on his own and buried into the roof of Cadden’s net at the near post, the gap was never less than seven points. Gallagher had already tried to stymie the Kilcar man’s influence but he simply couldn’t. Paul McCusker got an audible rollicking for not getting tight to him enough early on, which led to a switch with corner-back Kane Connor pushed up on to McHugh. The Belnaleck man took a yellow card and then got burned on the second goal, after which Eamon McHugh was introduced to a greater degree of success, but the windows and doors were already sealed on Fermanagh by then as they looked in from the cold as the Anglo Celt got carried away from them again. Odhran Mac Niallais found gaps early, kicking Donegal’s first score and landing a wide when he should have had their second, before Jamie Brennan, Michael Langan and Ciaran Thompson all started to tick over. Of it all, that was maybe the most impressive thing about Donegal. Patrick McBrearty was kept relatively quiet, landing just a single point before he was taken off injured, and Michael Murphy’s influence was again well limited by Ché Cullen, yet they still hit 2-18. Eoin Donnelly looked to have suggested Fermanagh weren’t going away when he wrestled through two challenges and, off balance, fired over from 35 yards to make it 1-5 to 0-3. But within a matter of seconds, McHugh was searing through to raise the green flag, widen the gap to eight and create a platform for comfort as they cruised towards a first provincial title in four years. To their credit, Fermanagh didn’t accept their fate and pushed up more in the second half, starting off with three men inside. They were more direct and were twice unlucky that the break didn’t favour them, first when Shaun Patton managed to get enough behind it to stop Seamus Quigley wrestling a high ball into the net, and then when a long ball hit the underside of the bar. But that was as close as Fermanagh came to a goal, while Donegal could easily have had four or five. Paddy McGrath had one rightly disallowed for needlessly standing in the square before Jamie Brennan squared to him in front of an open goal, while Pat Cadden denied Brennan with his feet, and both McGrath and Murphy fisted over when goals looked possible. They didn’t need them though, especially once Ryan Jones got the line for a second booking in four minutes. Frank McGlynn perhaps made the most of the second challenge and Fermanagh had justifiable claims for a free in just before it happened, but it was all footnote stuff by then anyway. Cian Mulligan, Mark McHugh and Darach O’Connor all kicked scores off the bench as time wore away once more on Fermanagh’s dream. History, and their own assertions that this was a short-term plan, suggests it may be the only one this generation gets. They’ll have regrets that they let it get away from them so early, but they can’t be too sore on themselves. There’ll be plenty of others that feel the cold fist of this reformed Donegal side. Ulster, though, has been too soft a battleground in recent years to determine whether there is yet an All-Ireland in this team.